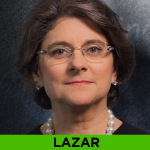 Best Macro Call: Nancy Lazar, Head of Economic Research Team and Co-Founder, Cornerstone Macro. Her correct call: The U.S. would resume its position as the driver or world economic growth and that China’s economy and influence would slow. Best Market Call: Francois Trahan, Head of Investment Strategy Team and Co-Founder, Cornerstone Macro. His correct call: U.S. stock markets would continue to rally and the dollar would strengthen against other major currencies. 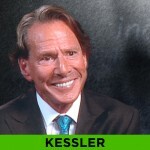 Best contrarian Call: Robert Kessler, Founder and CEO, Kessler Investment Advisors. His correct call for every year of the past decade: U.S. Treasury bonds yields would stay near record lows and make money for investors. Their correct call: The health of the municipal bond market was improving and it would be a top performing bond market. CEO of Kessler Investment Advisors, Inc. The Santa Claus rally is alive and well. As I head out for the Christmas holiday the blue chip Dow and the S&P 500 are in record territory. According to Bloomberg, Monday was the 50th time this year the S&P 500 closed at an all-time high and the Dow has done it 35 times this year. Who saw this coming? Who got it right among our WEALTHTRACK guests? On this weekend’s WEALTHTRACK we will review the best calls of 2014 and tell you what these prescient forecasters are saying now. The best macro call goes to Nancy Lazar. She predicted the U.S. would regain its position as the world’s dominant economic power and that the Chinese juggernaut would slow. Lazar is the head of the economic research team at Cornerstone Macro, an independent research firm she co-founded in 2013. The best market call was made by Lazar’s colleague, Francois Trahan who predicted the U.S. stock market would continue to rally and that the U.S. dollar would dominate world currencies. 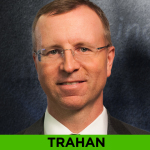 Trahan, another co-founder of Cornerstone Macro heads up the firm’s investment strategy team and has been voted Wall Street’s number one portfolio strategist for many years. The best contrarian call was made by Robert Kessler, the Founder and CEO of Kessler Investment Advisors, a manager of fixed income portfolios, specializing in U.S. Treasuries for institutions and high net worth individuals globally. As he has done for the last ten years on WEALTHTRACK, Kessler has defended the investment merits of U.S. Treasury bonds, on the long end in particular. Once again he has been proven right. The universally maligned 30-year Treasury bond has delivered returns that any stock investor would be thrilled to have. The biggest surprise call came from another bond market, the municipal bond market. It was rocked by problems in Chicago, Detroit and Puerto Rico but overcame those concerns and turned out to be an excellent place to invest, outpacing corporates and even some treasuries. 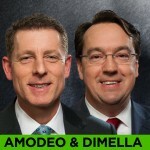 The two mutual fund managers who got it right were Western Asset Management’s Robert Amodeo, who runs several funds including Western Asset Managed Municipals and Western Asset Municipal High Income and Mackay Municipal Managers’ Robert DiMella, who runs five muni bond funds under the MainStay name, including MainStay Tax Free Bond fund and MainStay High Yield Municipal Bond fund. 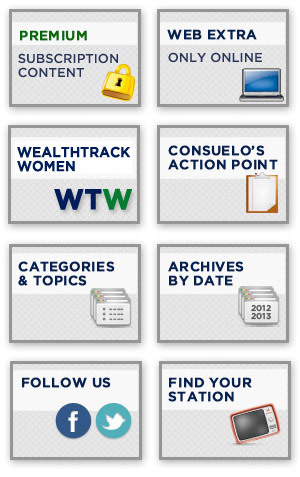 Each and every one of these WEALTHTRACK 2014 star prognosticators are sticking with their theses in 2015. Nancy Lazar and Francois Trahan are long term bullish on the U.S. economy and markets. Robert Kessler believes the pervasive weakness and upheaval in much of the world will continue to make U.S. Treasury bonds the choice for investors seeking safety, liquidity and decent returns. And Robert Dimella and Rob Amodeo believe the outlook for munis is positive, but caution that careful security selection in this complex market is paramount. As investors we can only hope they will all prove to be as prescient in the New Year as they were in the old. Following their advice definitely paid off! 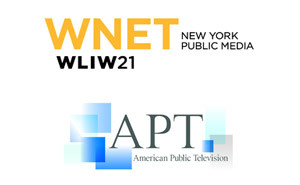 If you are unable to join us for the show on television, you can watch it on our website, WealthTrack.com, starting over the weekend. If you’d like to see it earlier, it is available to our PREMIUM subscribers right now. Have a wonderful Christmas holiday. Enjoy the rest of the season and make the week ahead a profitable and a productive one. How many times have you heard that China is on its way to surpassing the United States as the main driver of world economic growth? This week’ s guest says not so fast – growth dynamics are changing and the widely forecast new world order is returning to the old world order. Top rated economist, Nancy Lazar explains why the U.S. has resumed its role as the driver of global economic growth and China is lagging. For years Great Investor Robert Kessler has correctly predicted that interest rates would decline to record lows and remain subdued because of subpar economic growth. The founder and CEO of Kessler Investment Advisors is sticking to his guns and maintains that U.S. Treasury bonds will continue to be a major beneficiary. He’ll explain why he thinks Treasuries, one of the most vilified investments on Wall Street should be a core holding in everyone’s portfolio.